Outdoor high stool with a back. Black 5 x 5 outdoor weave. See below for other models in this range. Available from stock and delivered assembled and ready to use. 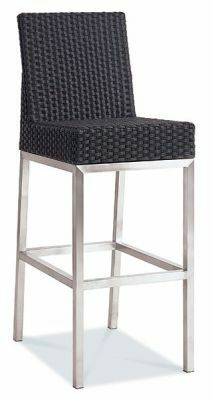 Quality construction stool with high back includes a thick metal frame and black weave seat. Also available with no back. Held in stock for quick delivery.